Local people flocked to The Liberty Shopping Centre on Thursday 20th April to meet bestselling author and noted blogger, Sarah Turner, The Unmumsy Mum. 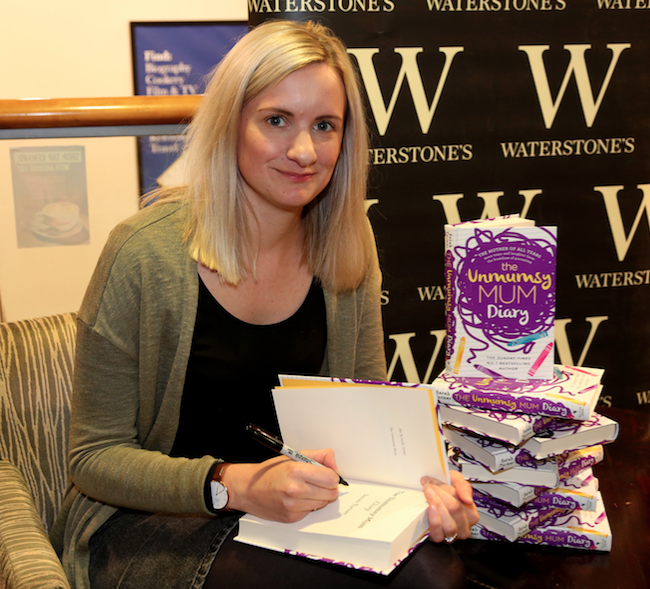 Fans queued outside the Waterstones store on Lockwood Walk to meet the Sunday Times number one bestselling author, who has just released her new book, The Unmumsy Mum Diary, which gives readers a candid insight into her personal life as a mother, wife, blogger and author. Jonathan Poole, Centre Manager at The Liberty Shopping Centre said: “We were so excited to welcome Sarah to the centre and – as predicted – the event was a resounding success.